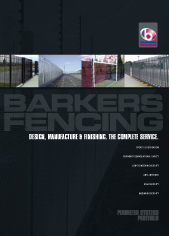 The Barkers Fencing range of swing gates has been developed with many options available, including locks, self closers and security features. 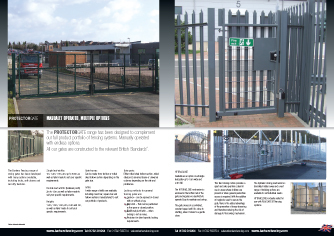 The Protector Gate range has been designed to complement our full product portfolio of fencing systems. Manually operated with endless options. 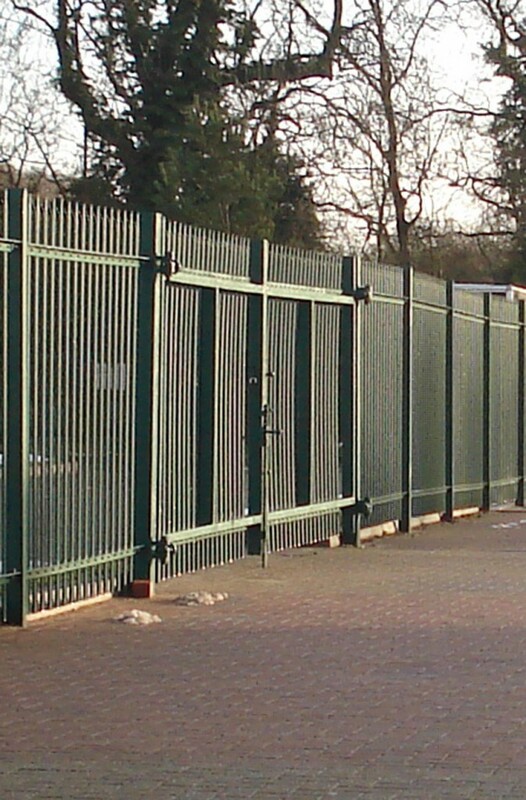 All our gates are constructed to the relevant British Standards. 1m, 1.2m, 1.5m, 2m, up to 6.5m, as well as tailor-made to suit your specific requirements. 2m to 13m, as well as tailor-made to suit your specific requirements. 1.2m, 1.5m, 1.8m, 2m, 2.4m and 3m, as well as tailor-made to suit your specific requirements. Can be made from flat bar or rolled steel hollow section depending on the gate size. A wide range of infills are available, including round bar, square bar and hollow sections manufactured to suit our portfolio of products. Either rolled steel hollow section, rolled steel joist, universal beam or universal columns depending on the site and preference. • Locinox – can be opened or closed with or without a key. • Slip latch – that can be padlocked in the open or closed position. • Traditional pivot latch – when locking is not an issue. • Provision for client specific locking requirements. Available as an option on all single leaf gates up to 1.5m wide and 2.4m tall. 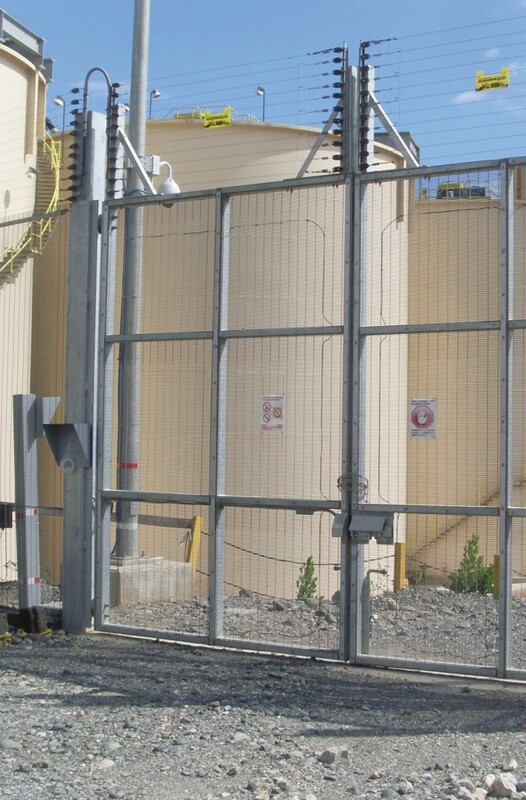 The HYDRACLOSE mechanism is enclosed in the bottom rail of the gate and requires no electricity to operate. Easy to maintain and set-up. The gate closes at a controlled, constant speed until it is close to shutting, when it slows to a gentle close. This fluid closing motion provides a quiet and safe operation, ideal for use in areas where children are present or when general pedestrian access is required. 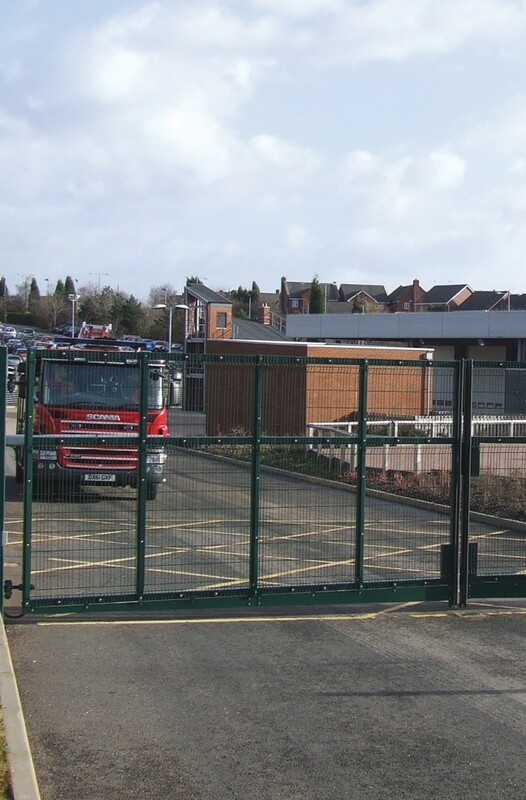 With the addition of maglocks used to secure the gate, there is the added advantage of the prevention of heavy slamming and therefore reducing the risk of damage to the locking mechanism. The hydraulic closing mechanism is discretely hidden away and a vast range of finishing options are available to suit individual needs. HYDRACLOSE is ideally suited for use with PLAYSAFE-BT fencing systems.